The only published records of Hadrachaeta aspeta are from Patonga Creek (lower Hawkesbury River) and Yamba in New South Wales, and from Serpentine Creek (Brisbane) in Queensland. There have been no records in NSW for over 30 years despite targeted surveys, and the species is now considered extinct in NSW. Hadrachaeta aspeta is a small species growing to a maximum length of approximately 25 mm. 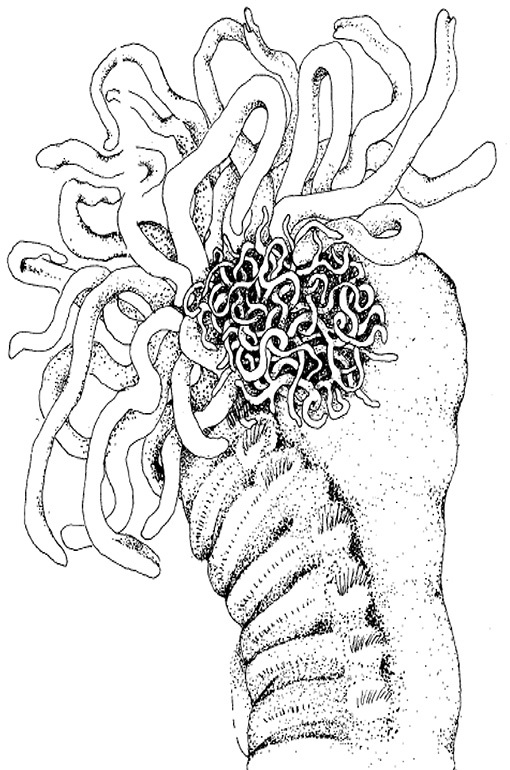 Hadrachaeta aspeta is a species of tube-dwelling bristle worm that lives in soft muddy sediments in the inter-tidal zone of enclosed bays and estuaries on the seaward side of mangroves. It is the only species in its genus and is endemic to eastern Australia.